With Amos Vogel’s passing in April 2012, American film culture lost one of its most passionate and influential iconoclasts. INCITE #4, “Exhibition Guide,” pays tribute to Vogel’s legacy, most notably Cinema 16, a precursor to the flourishing microcinema network of the 1990s and a forebear of current freewheeling New York cinespaces like Spectacle, 92YTribeca, UnionDocs, Light Industry, and Microscope, some of which you’ll find represented in these pages. Before there were any such alternatives to mainstream movie houses, Amos and Marcia Vogel launched their Cinema 16 screening series in the fall of 1947, with the goal of advancing “the appreciation of the motion picture not merely as an art, but as a powerful social force.” Mixing documentary and avant-garde cinema on the same bill as animation, dance, and science films, the Vogels pursued an eclectic, dialectic programming strategy that set the tone for future small-scale, individualized, and/or ambulatory ventures: from Craig Baldwin’s vibrant San Franciscan mainstay, Other Cinema, to the resourceful H.O.M.E. Group and its subsequent Baltimore offshoots, to the rambunctious offerings of Pittsburgh’s Orgone Cinema, and over two dozen others, considered here. While vertically mapping MICROCINEMAS of past and present, this issue also surveys the breadth of alternative media exhibition practice, from Dziga Vertov's agit-train and Bill Brand’s metro MASSTRANSISCOPE, to artists who use film without projectors and projectors without film. In the age of so-called “participatory” media, in which people connect virtually using avatars and aliases to stream data on handheld devices, what binds these social cinematic sites, herein, and makes them flourish? 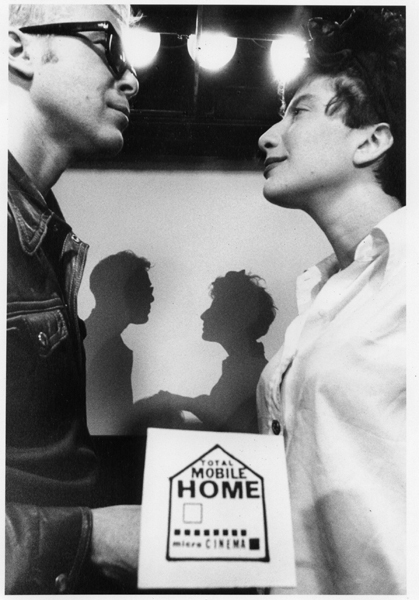 Rebecca Barten and David Sherman began using the term “microcinema” in 1994, to describe their Total Mobile Home (TMH) – a makeshift screening locale set in the parking area below their San Francisco apartment; a truly underground cinema. They built ten pine benches that sat two apiece and cut a hole in the wall to ensconce the projector. An adjoining room, housing the electric kilowatt meter, doubled as a wine bar. Their concept, and appellation, provided the basis for a global film exhibition movement that began in the 1990s, running parallel to coterminous DIY efforts in music and publishing. The goal was to foster discussion and community through small personal screenings, with small being the optimal condition. Contrast the Cinema 16 screenings, drawing Sunday afternoon crowds of 1000 plus, with TMH’s intimate gatherings of one to 40 people. Were these screenings any less successful, or less significant? Conversely, consider the splintered, solitary, “snacking-in-bed” viewing experience of YouTube. What unites Cinema 16 and TMH is the spirit of personal commitment and public engagement. Both were built on partnerships, fueled by love and mutual support; disruptive, independent cinema as a way of life. Although the scale differed significantly, neither relied on outside funding or grants – an incredible, though telling, feat. Before closing their microcinema in 1997, Sherman and Barten staged more than 100 shows. We are pleased to publish their text “Small is Beautiful,” and also to announce that at present writing, the two have just initiated a new endeavor in Tucson, Arizona, called Exploded View. Microcinema is a self-renewing ecosystem. Of course, there were several precedents to the “microcinema revolution” that TMH helped foster. From the cinéphilic Cinema 16, San Francisco’s Art in Cinema, and the MoMA Film Series of the 1940s, to more against-the-grain, early-60s screenings at Canyon Cinema (later the San Francisco Cinematheque) and “underground film” gatherings at Aldo and Elsa Tambellini’s Gate Theater on 2nd Avenue and 10th Street and Jonas Mekas’ Film-makers Cinematheque in New York, movie lovers have long assembled to watch films together outside of commercial screen venues. Nothing that could be called a movement, however. Steve Anker’s personal history of early American experimental media centers offers a vital account that bridges these prototypical photons with the “microcinematic beams” of the last two decades. Taxonomic border-patrols and the dubious pinpointing of “firsts,” aside, this issue seeks to engage the history of unconventional cinemas by zeroing in on those puzzle pieces that don’t quite fit. Lost-and-found in the couch cushions and idiosyncratically dog-eared, these are the components of itinerant and expanded cinema practices that don’t take place inside four-walled cinema chambers, on screens, online, or, even, in a projected fashion. 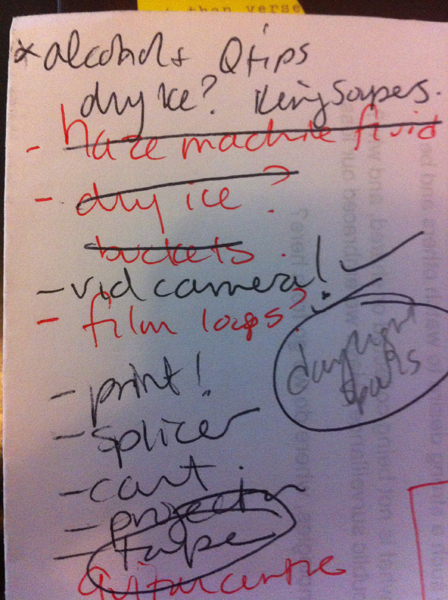 Hopefully, these aberrations will spur readers to reconsider the whole gambit of moving image exhibition. The issue’s MOBILE CINEMAS section travels through time to encounter Soviet propaganda networks, the artist Theo Michael rocking disco visuals in Euro-flush early-00s Greece, and the 1970s Mexican Cineteca subverting the politics of cinema vans, once employed by British Colonial Film Units in Africa. 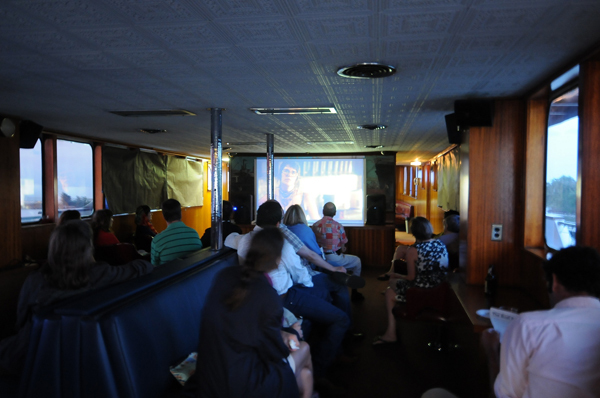 MOBILE CINEMAS sees INCITE contributions straddle geographies and modes of transportation, too, from NYC subway tunnels to epic European bike tours, with projectors in tow. Predictably, this issue’s EXPANDED CINEMAS section tries for ontological mutability, presenting research on, and creation of, under-recognized “new” expanded cinemas, while reflecting on the consequences of trying to preserve older, established ones. A good dash of Eros rounds out the recipe. Brett Kashmere is a Pittsburgh-based filmmaker, curator, and founding editor of INCITE. He is currently co-editing the anthology, Strange Codes: The Life and Films of Arthur Lipsett. Walter Forsberg was born in Saskatchewan and works in media preservation. Forsberg was a co-founding member of L'Atelier national du Manitoba. 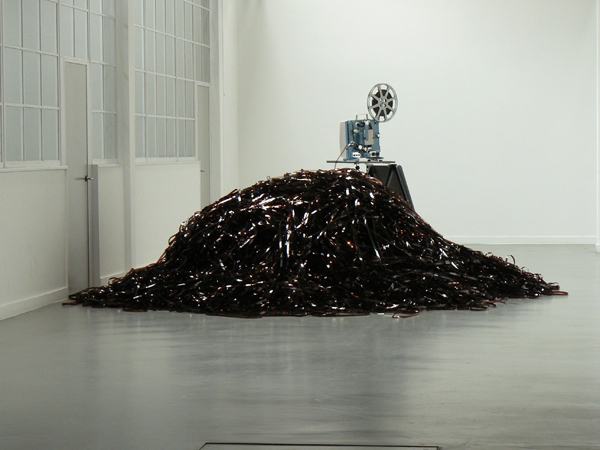 In 2013 he served as Audio-visual Conservator for the XFR STN exhibition at the New Museum, and is currently working on a series of new films in Mexico City.